Taking the time out to vision, strategise and gain new ideas on how to approach 2019 is critical to your success, personal fulfilment and making a difference to others. Create an inspiring vision and goals for 2019. Develop your big picture thinking skills. Gain diverse perspectives and new ideas to solve your up and coming challenges. Learn how to chunk down your vision into real milestones, goals and plans. Make fast and effective choices through tapping into your intuition. Move away from a 'to do' list mentality to focus on what you need to let go of. Learn to say no and focus on the real priorities to achieve your vision. Get out of the office for a day and have the time and space to focus on yourself. Be part of an inspiring external network with tangible business and personal benefits. Gain new ideas and contribute to your organisational diversity and inclusion goals. Leave with an action plan, support, accountability and planning method. Scholarship places are available for women working in charities, not for profits, schools, government and social enterprises. 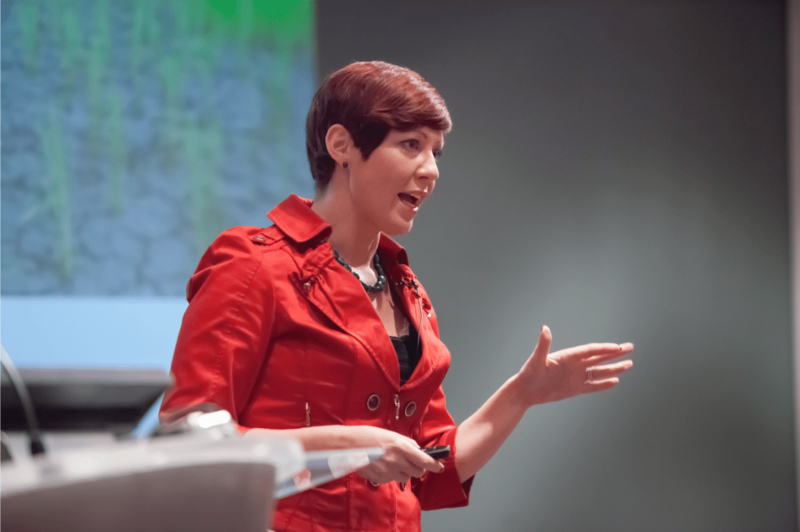 Award-winning women in leadership expert, social entrepreneur, key note speaker, coach and internationally bestselling author, Dr Sam Collins is a leading global voice on women as change agents for workplaces, organizational culture and community impact. Dr Collins is an expert in the fields of women’s leadership and gender diversity and consults with CEOs and executive teams on how to attract and retain women and create a diverse workforce. Sam has been named one of the ‘Top 200 Women to Impact Business & Industry’ by Her Majesty, The Queen of England, one of the ‘Top 10 Coaches’ by The Independent and ‘Leader in the Workplace’ in the Ogûnte Women’s Social Leadership Awards. She has worked with global corporations, small businesses, government and non-profits over the past 18 years and has contributed to The Financial Times, The Guardian, CNN, The Huffington Post, The Sunday Times and the BBC. She has been a regular contributor to the BBC World Service and is a ‘Micro Genius’ for Psychologies Magazine. It began with Aspire, founded by Dr Collins in 2001 when she was just 30 years old, now a globally sought-after organization that enables women leaders to thrive through leadership development, coaching and events. Aspire’s pro-bono mentoring programme works in 80 countries and has made a positive difference to the lives of over 16 million women and girls across the world. Dr Collins is an active campaigner on the role of business in solving world issues, supporting families after suicide, the worldwide orphan crisis and empowering women as leaders in developing and emerging economies. She was recently named as a Global Ambassador for Women for Women International, empowering women survivors of war in Afghanistan, the Democratic Republic of Congo, Iraq, Kosovo, Nigeria, Rwanda and South Sudan. Dr Collins has a Business Degree, a Masters in Training and Human Resource Management (with distinction) and a PhD that examined the future world of work for women as leaders in the US and the UK. She is also the author of the internationally bestselling book, ‘Radio Heaven – One Woman’s Journey to Grace’.